Can you conquer the Nine Worlds? Nine worlds I knew, the nine in the tree. With mighty roots beneath the mold. 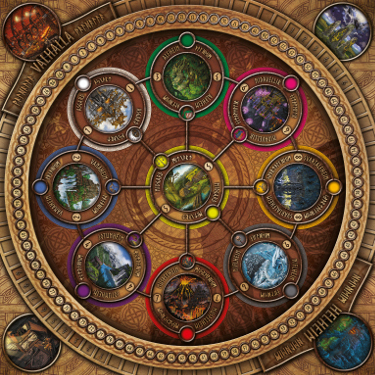 The Nine worlds of Norse and Anglo-Germanic myth is the battle ground for this area control game. 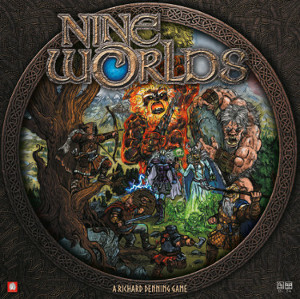 Players struggle to take control of The Nine Worlds, spending action points to add or remove armies, move them between the worlds or banish them to Helheim. Control of a world gives access to World Powers players can use to win the game. 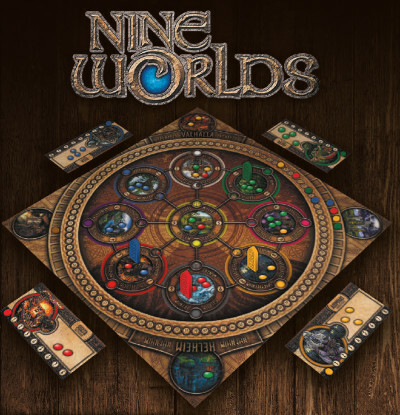 Victory relates to the numbers of armies players have in the Nine Worlds along with controlling or disputing control of as many worlds as possible.